Yeah this is good. REALLY GOOD! Netflix just got this in May, and it was recommended for me (Sorry Crunchyroll, I didn't know what this was til Netflix). I looked up reviews, I am very picky about the anime that I watch. I liked the sound of the plot, and recognized the name from the older series airing when I was a kid. None the less I watched it in 4 days. Yeah this is good. Right from the first episode you are drawn in and the plot takes off. It only gets better once the Dark Gods get involved. Really wish there was more of this series, as I imagine the final arc is amazing, might have to pick up my first manga's to get the rest of the story. The Saint Seiya series is considered "old" by anime terms (>10 years). Lost Canvas, both the anime and manga, are a much appreciated revamp of the series many loved. The animation here is stellar, the voice actors' passion is well conveyed, and the OP song has a major 1980s feel, which ties into the original aesthetic. Unfortunately, the anime ends without the series conclusion, but the cliffhanger is good enough where you will want to read the manga. Tenma, the golden saints, and the antagonists all have excellent character development. Although Hades's side is technically "bad", you'll find yourself sympathizing with the antagonists. Overall, I think this is a good show and I'd recommend viewing it. If you can overlook the funny naming schemes, this show has it all. Almost no one has plot armor (btw, the armor designs are sick and unique), especially the ultra powerful characters. Everyone looks hella good, as expected from an altered universe of Greek mythology. While some tactics are used in battles, it's mostly down to 1v1 between individuals. Those who are more skillful wins, and this reflects how heroes are depicted in the mythologies. Smarts can get you through sometimes, but ultimately it comes down to your skills cultivation throughout the years or talent (sometimes dumb luck). This show especially executed this perfectly. While I hate repeated beat downs, this show manages to keep me captivated since our protagonists are pitted against powers they could never reach (humans vs Gods, you get the gist). Their training brought them up to superhuman levels, but the writers still manage to make the Gods even more powerful. Absolutely fantastic. Just amazing, and I recommend it 100/10. 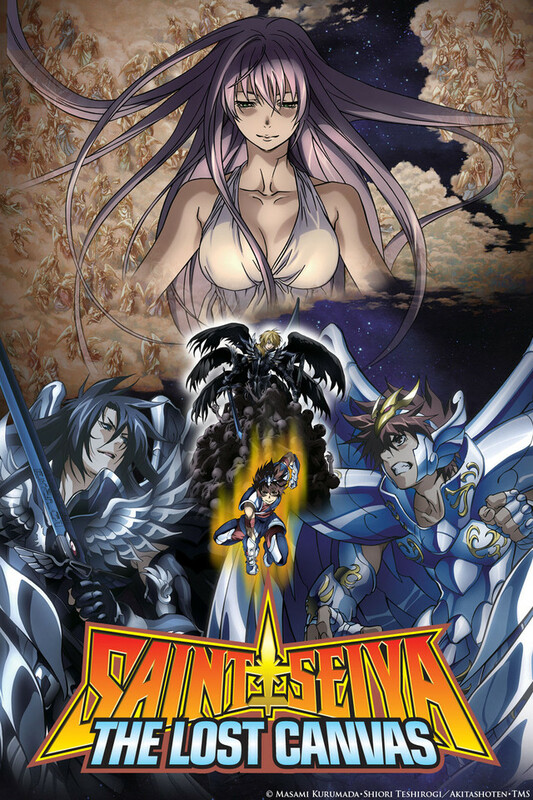 I've never even thought Saint Seiya is a franchise, and this one is a late comer! Great anime, really dumb move cancelling it. The art, the story and the action were all amazing. I am very pissed off on how they ended it. They definitely should have continued this story instead of cancelling it. I felt like I was robbed, so because of that I decided to boycott the other Saint Seiya's. For the first half, the only thing that kept me watching was the anticipation of seeing all of the Gold Saints (who are based Zodiac signs, which everyone can relate to). Although I appreciated the consistency of concept with the original series, I didn't like the realistic, drab character art design (they looked disturbingly snake-like), and the main characters were pretty boring. The Gold Saints were more dynamic and intriguing. Well, the first ones were brushed over and didn't interest me as much. But beginning with the entrance of Cancer Gold Saint (halfway), I started becoming more impacted and attached to the show. Everything plotwise was finally coming together and building up for an intense "ending". All of the Gold Saints' appearances in the second half were exciting and emotional, and left me wanting more. Compared to the original, Lost Canvas wasn't as continuously intense and fast-paced, but there was deeper character portrayal. Saint Seiya Lost Canvas is a series with a true body that has hands down surpassed and triumphed over the classic that ran in the 80s. The one who claims otherwise is either a nostalgic or extremely biased since the series stands out with its very beautiful animation, good plot and superb voice acting. Unfortunately, one can also notice how LC tries to respect the original series maybe a bit too much because most of the anime (and the manga) is spent fighting and both character development and plot outlining are slightly outshined by the scuffle that takes priority in everything and everywhere. Lost Canvas boasts admittedly much needed realism and certain attractiveness the original series never had. One can truly slip into the minds of Hades' and Athena's troops and truly get to choose which of the two sides one likes because nothing is black and white (e.g. honor and miraculous feats are not reserved for the Saints only; Rhadamanthys and Kagaho). This allows one to focus more on the characters and not on the sides ("good"/"bad"). The diversity of the characters is shown in the series in a very hook and sinker sort of way. There are clichés here and there (*cough* Tenma *cough*), yes, but also plot twists that are very welcome and much needed especially if you have watched the original series and imagined why in the world did you watch over 100 episodes and over 30 ovas for that. "Hades" himself is one of the most major plot twists in this series (and a middle finger to the whole 'I'm so innocent even bears like me' stereotype) and I'm actually advising all the viewers to keep a close eye on Alone. All in all, apart from about a few beauty problems that last a few seconds here and there, Lost Canvas is very good. If you're interested in Saint Seiya as a series, I have to say that even though Kurumada created the series it was Teshirogi who polished and cleaned the idea for it to be worth watching and reading. It's a shame they stopped producing the anime after only two seasons because this one needs to be adapted into anime fully. Verdict: a polished gem that shines among all the other rubbish even though it's a couple of years old. Must look and after that, read, because the storyboard is a bit different in both versions. You get more insight into the Gold Saints if you read the Gaidens. Wasn't into the whole god vs devil deal but this show drew me into it. Loved it, loved it, loved it!!! It not easy for a friggin cartoon to get me emotional but this was one of the few. Very rememberable, great fights, clear messages across the board. Saint Seiya The Lost Canvas - What's not to like? This show is amazing! The fact that it was about a holy war got my attention. The God Hades can kill what ever subject he paints is pretty cool. Also the fact that Hades and the Pegasus saint grew up with one and other and were best friends/brothers. They now need to fight each other to the death is interesting to watch. I wish I could read the manga. However it all seems to be printed in Spanish.